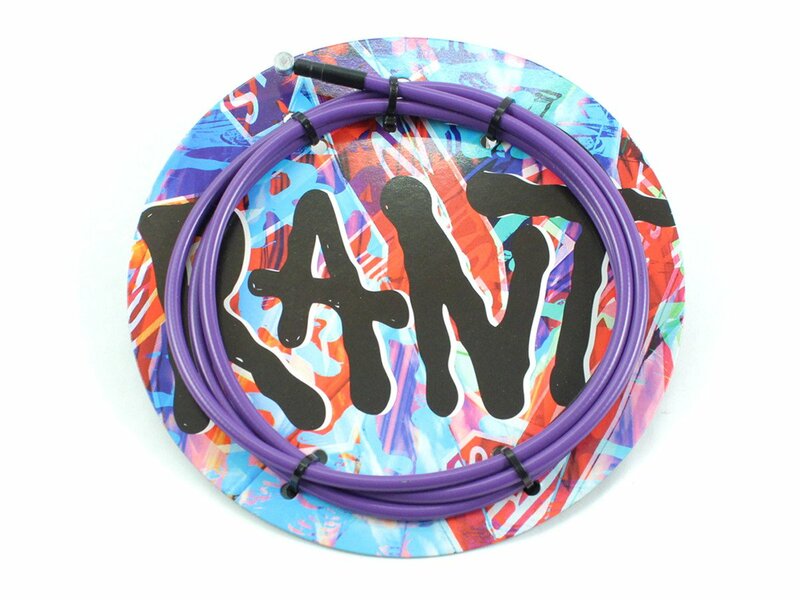 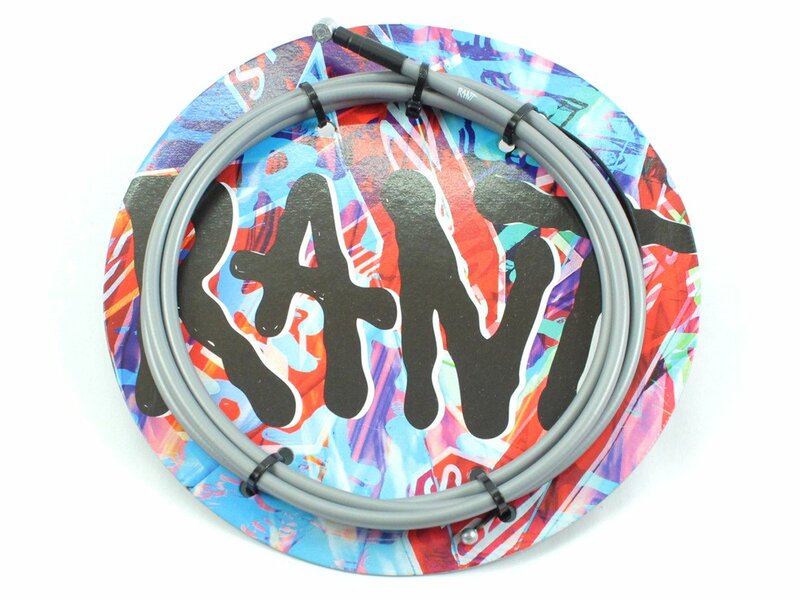 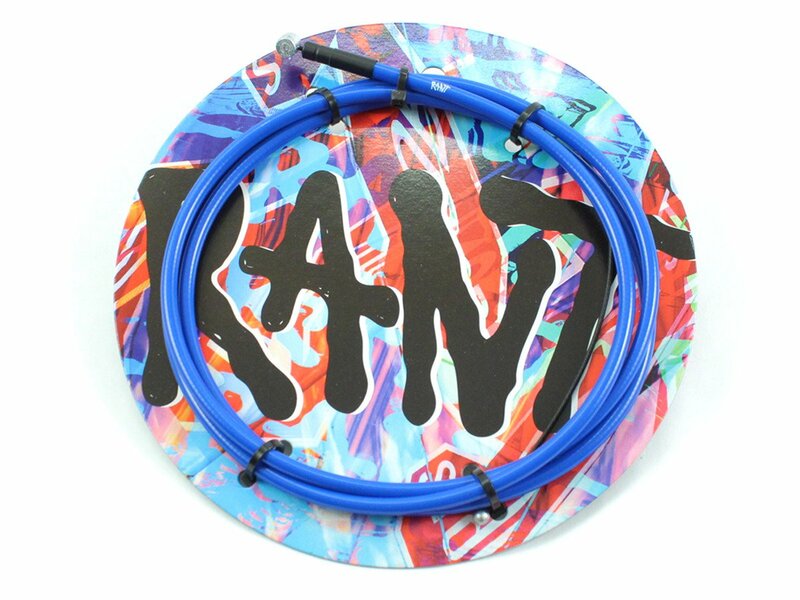 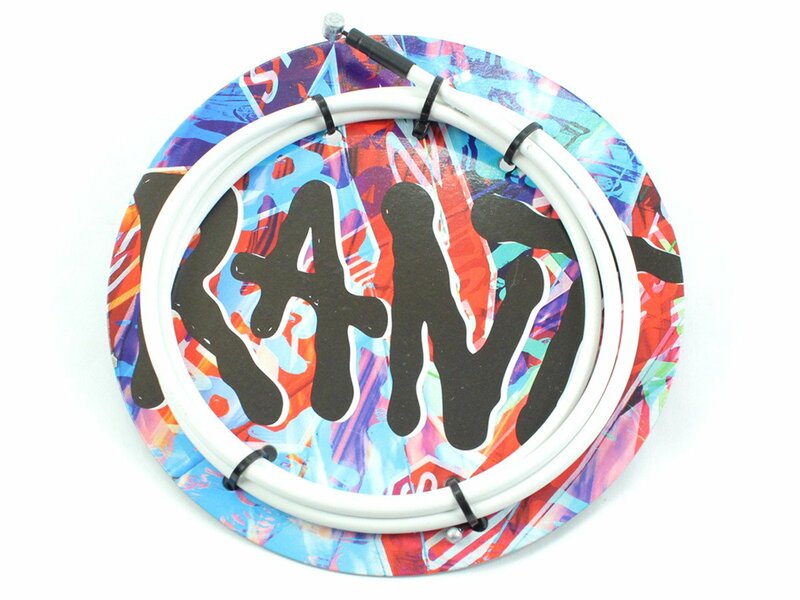 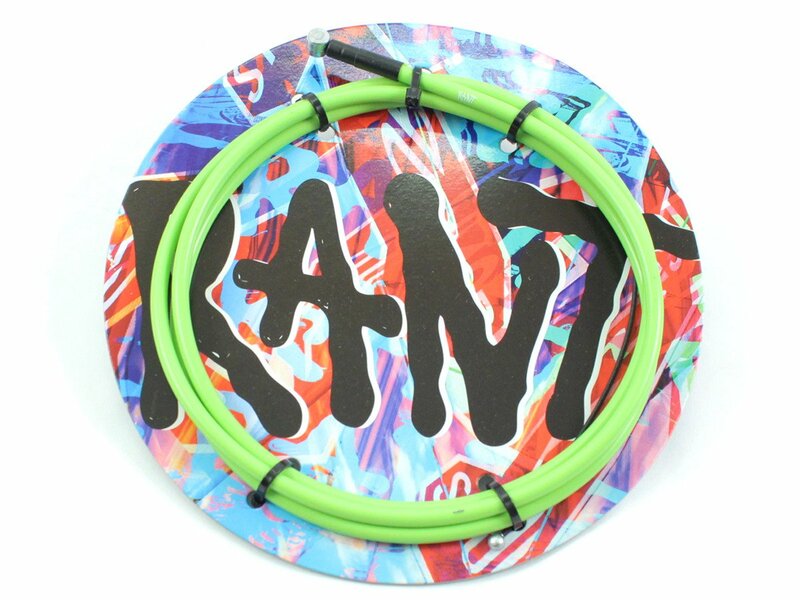 The Rant BMX "Spring Linear" Brake Cable consists of a steel core with linearly extending and Teflon lined steel wires which are coated with a durable plastic outer sheath. 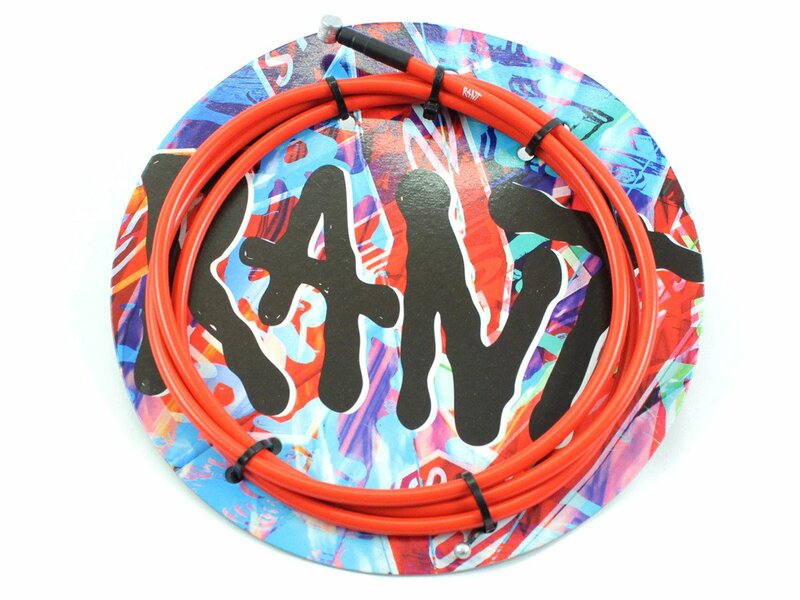 Compared to a brake cable with a wired metal housing this linear brake cable allows you a more precise and better braking pull performance. 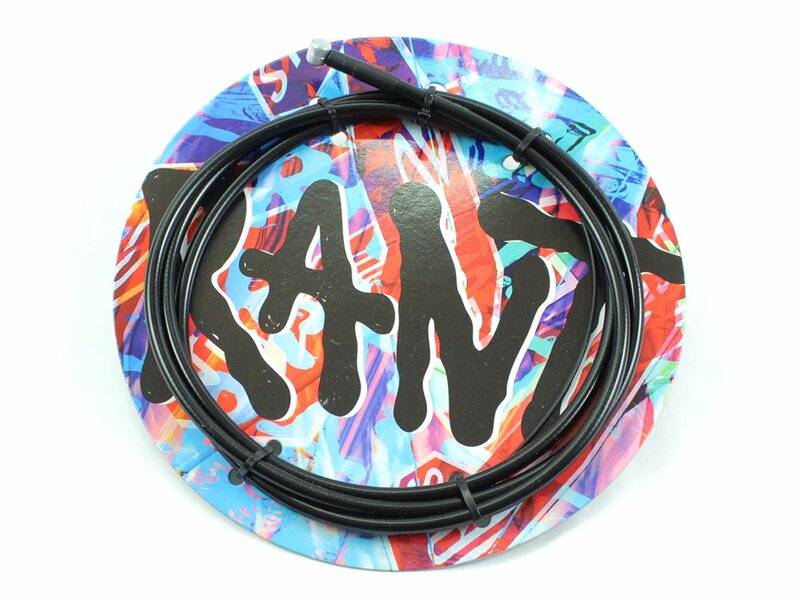 The additionally inside Teflon tubing and the Teflon coated cable offer a smooth and low friction brake performance even this Rant BMX "Spring Linear" Brake Cable is wound around the head tube of your bike after a 360° Barspin .